A solution is a product, a combination of products, services, or a mix of products and services that a vendor, service provider or value added reseller (VAR) will offer to their client. In almost every case, a solution is provided to address the client's specific business problem or other need. Advico Technology is a true technology solutions and integration partner. We work closely with our clients to understand their unique goals, needs and challenges, and then we design and deploy innovative and cost-effective solutions that help clients improve all aspects of their business. 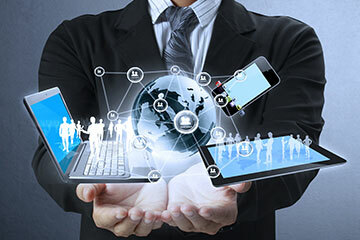 We help our clients solve complex business issues through applying technology. IT Companies, experience is extensive from strategy, through design, implementation, managed services, and upgrades. we provide a wide range of services that help clients leverage the power of technology applications.